Petzl ascenders are made for caving. 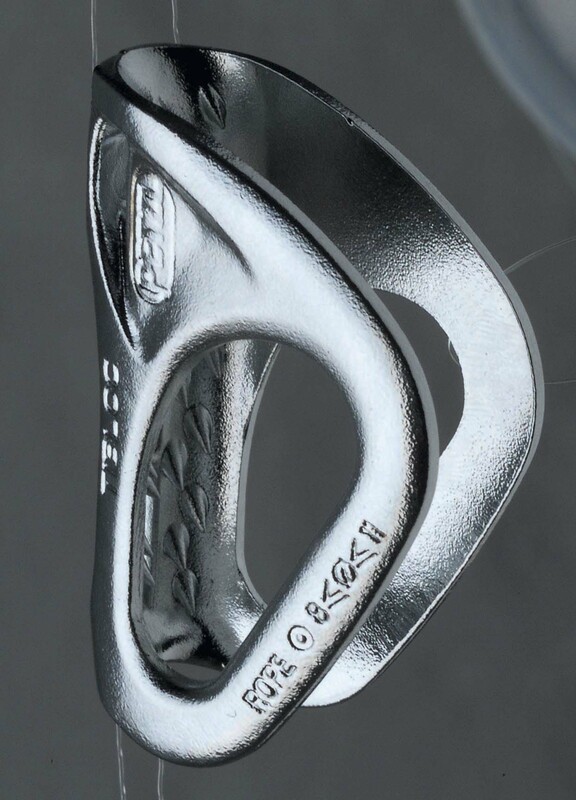 All the Petzl ascenders have been redesigned. The cams have a slot to shed mud and the teeth slide up freely and grip firmly. The safety catch is ergonomically shaped for efficient down-climbing and release. The handled Ascension is available in right and left models. It is designed to be used with bulky gloves and can be easily opened with one hand. The Basic is essentially the same, but without the handle-suitable for ascending systems and adaptable to haul systems and fall protection. The Croll is specifically shaped to sit flat against the chest, but also works well as a foot ascender. Designed as a foot ascender for the frog system for deep systems, the Pantin can be helpful when ascending free drops, passing knots, crossing rebelays or changing over. Kicks easily on and off rope. May be used in some ropewalkers. 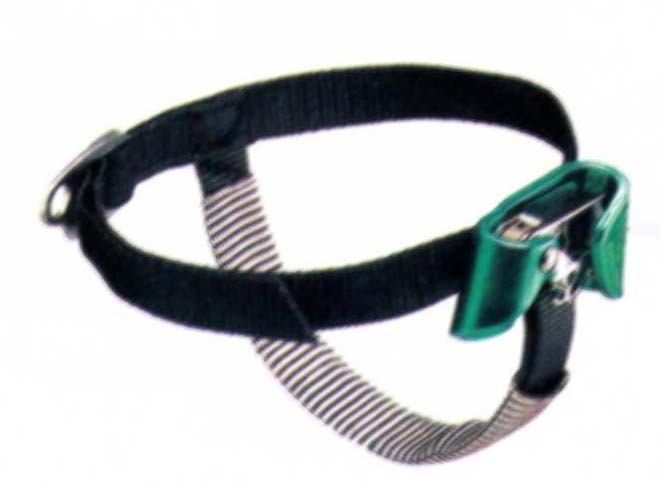 The Petzl Tibloc was designed as an emergency ascender. Can be used in ascending systems or in haul systems. 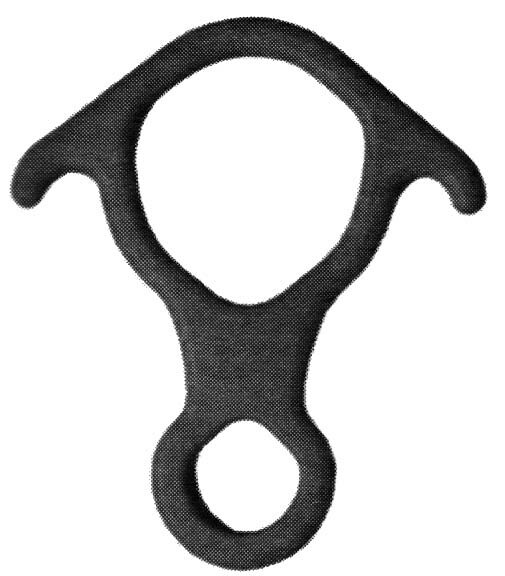 Works best with round-cross section HMS carabiner. And the Tibloc can also be used to open beer bottles. At 39g there's not much reason NOT to carry one. In our opinion, the Micro-Rack is the best all-around descender made today. The Micro-Rack offers a wonderful combination of compact size and versatility. The standard 8" frame is great for technical ropework. (Also available in 10" for use with large diameter rescue rope.) The frame and the hollow bars are made of stainless steel. The entire system tests to over 14,000 lbs. and every Micro-Rack is tested to 1000 lbs. before it leaves BMS. The Micro-Rack provides plenty of control, especially when using the "J-Bar," and it locks and unlocks more easily then a standard open frame rack. These are the old standard. Long racks provide for widely variable friction and are good for long, simply rigged, drops. Stainless steel bars last longer but are heavier and give less friction. Aluminum bars give more friction but wear faster and leave black stuff on the rope. These are classic European bobbin-style defenders. The Stop has a lever which must be held to move. When released descent should slow or cease. With the Simple, your brake hand controls all the movement. Both work best on 8-10 mm rope, but can be used on rope up to 12 mm.